Attorney General's office decides to issue indictment against Pinto for corruption, bribery and other charges. The Attorney General decided Wednesday to file an indictment against Rabbi Yeshayahu Pinto, to be issued in the next several days. The indictment is expected to be issued for several severe charges, including bribery, obstruction of justice, police corruption, and tampering of witnesses. 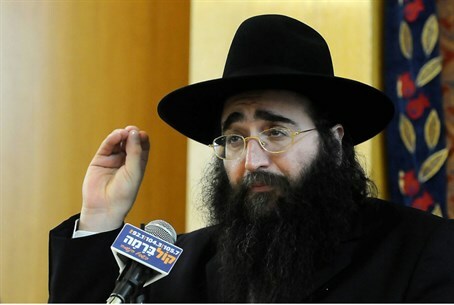 Rabbi Pinto is being tried for corruption after he allegedly attempted to bribe senior police officer Ephraim Bracha with $200,000 for information about a pending police investigation into the Hazon Yeshaya charity organization, which Pinto was allegedly closely involved with. The decision to indict Pinto was based on a thorough investigation of all of the facts, accusations, and allegations relating to the case, which was under the direct supervision of both the current Israeli Police Department VIP head, Major General Manny Itzhaki, and the previous head, General Yoav Segalovitz. The decision was made after a special hearing held by the Attorney General's office, with the participation of the State Attorney, the Deputy Attorney General (Criminal), the Deputy State Prosecutor (Criminal), other senior lawyers in the Tel Aviv District Attorney's Office and the Police Investigations Unit. Attorney Eli Schwartz, the prosecutor assigned to the case, was also present. The meeting also discussed the case against Menashe Arbiv, a police officer Pinto allegedly bribed and the head of Lahav 433, the unit which investigates corruption. The Attorney General and the State Attorney were reportedly given information implicating Arbiv or members of his family of receiving benefits from people close to Rabbi Pinto. The exact nature of these benefits was not cleared for publication, but the matter is being investigated by the Police Internal Investigations Department. Arbiv has not commented on the allegations, but has suspended himself from service during the investigation. Another meeting was held Wednesday night soon after with Pinto's representatives; it was announced that Pinto would surrender his rights to a formal hearing until the final decision has been made whether or not he will stand trial.